Last time we talked about our view on proteomics right know, and today we are introducing you to The Evosep One – a novel separation solution designed for fast and robust separation of omics samples in large clinical cohort studies (primarily proteomics and metabolomics). Chromatographic performance (peak capacity) comparable to conventional high-end and low-flow HPLC’s. Taken together, these features enable short gradients for reliable high throughput in large cohort studies. 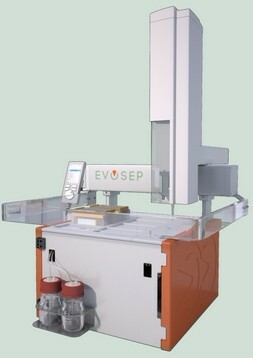 Click here for more detailed information about the Evosep One.